There's a FaceTime bug that lets you hear through someone else's iPhone, even if they haven't answered your phone call. Kris Sanchez reports. 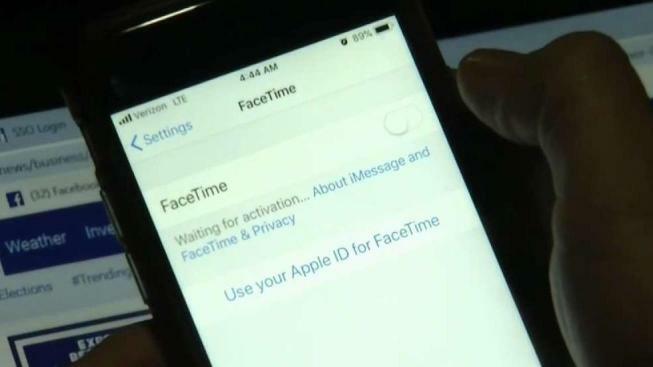 There's a FaceTime bug that lets you hear through someone else's iPhone, even if they haven't answered your phone call. It was previously reported on Twitter by user Benji Mobb and covered by 9to5Mac. CNBC tested it and verified that it's a real bug. I tried placing a video call to my editor from my iPhone using Apple's FaceTime app. Then, before he picked up, I used the menu option to add somebody else to the call and, as 9to5Mac's directions state, I added myself to the call. Suddenly, I could hear my editor, even though he never picked up. We continued having a conversation while his phone only gave him the option to answer. There was no indication that the call had already gone through. This bug seems to rely on the FaceTime Group Call feature, since you're trying to add another person to the call. Group FaceTime launched last year. There's obviously a big privacy concern here. You could theoretically call anyone with FaceTime and, using the steps above, listen in on their conversations. Apple said a fix is coming this week. "We're aware of this issue and we have identified a fix that will be released in a software update later this week," a spokesperson told CNBC. -Open Settings on your iPhone or iPad.